I can't believe how long it's been since I managed to get something posted here. The winter and rainy spring have been perfect weather for Bluebonnets here in Texas. 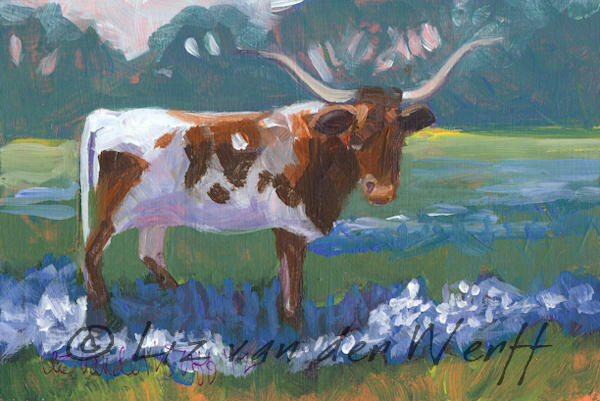 This is the first of several bluebonnet paintings I will be posting in the coming days. I spotted this Longhorn steer surrounded by the beautiful flowers while I was driving one morning.